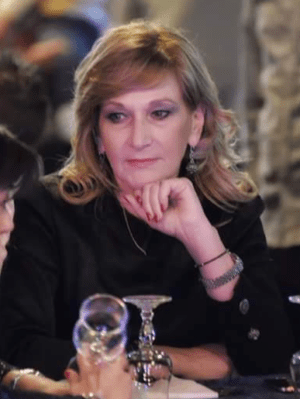 Alessandra Giudici (Cagliari, 10 September 1955) is an Italian politician, former president of the Province of Sassari from 2005 to 2015. In 2011, as president of the Province of Sassari, she sponsored the Alghero Woman’s Award. Actually Alessandra is a responsible for the Public Relations and Marketing at VIP Sardinia company. 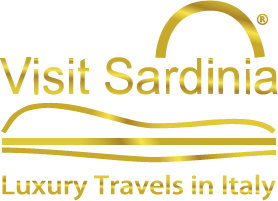 Alessandra loves her beautiful land, Sardinia and her real mission is to introduce the island to you and share with you the wonderful opportunities you could find if you just let your senses be your guide. Actually, she has a great experience as an executive manager and worked for public and private administrations. She got a university degree in literature and foreign languages but during her career been attending courses of business administration at Bocconi University in Milan and had a brief stage in Nevada, University of Reno, where she specialized in Journalism and Literature. She has been the general director of a Promotion and Marketing Company and spent time in Business Educational Training. After a long time in Public Management she afforded a very interesting period within the touristic field. “Why Do I love Sardinia? It’s really easy to say: Sardinia is a dream, and you are welcome to share this dream with us. Five Senses Sardinia is at your fantasy disposal to take you by the hand through a sensitive travel which you’ll never forget. Just take your time, for a moment, stop, close your eyes and take a deep breath. This is the scent you’re going to sense from now on, till the time you will leave us, the scent of mirth and juniper, the scent that you’ll remember any time you’ll think of this place. This is the Sardinian scent you’ll find in food, culture, in our people’s smile, in all the products that our generous nature is going to give you, as a free and blessed gift. I could talk about our wine, our bread, our traditions, our century-old culture, I could describe our indescribable sunsets, the longest lasting ones, because Sardinia is the most western Isle in Italy, I could represent the romanticism of a walk on the beach, could show you a nuraghe and tell about its magical and mysterious life…. Now listen. Can you hear the music of a unique sea, can you feel the sounds of an ancient and strong land, but sweet and sensitive as only Sardinia can be? Or listen to absolute silence. Our rock silence which speaks of proud and powerful people who will welcome you with open arms. Now open your eyes and see. Now you can feel all this, you can feel Sardinia.